Northampton Town have signed midfielder Danny Rose on a deal until the end of the season after he left Oxford United by mutual consent. 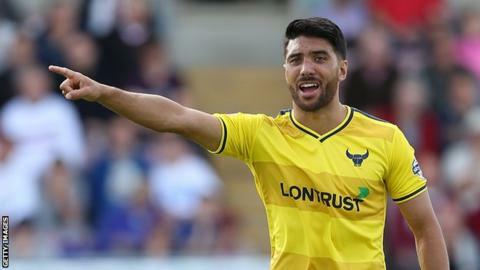 The 27-year-old made more than 100 appearances in two spells with the U's, and played under Cobblers manager Chris Wilder at the Kassam Stadium. Rose has not started a league game for Oxford since October. Northampton have also extended the loan spell of Millwall midfielder Lee Martin until the end of the season.